A static text can be defined as the content of the push notification here. Here, a data field can be selected that provides the content. With this option, a system value can be used as the source of the content. 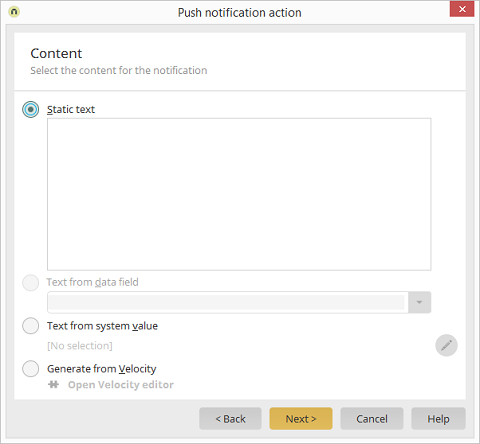 With this option, Velocity script can be used to generate the content.